Jeffrey J. Cooper, beloved wife and best friend of Rosalind, nee Herbst, for 43 wonderful years; devoted son of the late Alice and Harry Cooper; dear brother of Kenneth (Denise) Cooper, Martin (Judy) Cooper and Jan (Rabbi Stephen) Booth-Nadav; treasured uncle, cousin and friend of many. 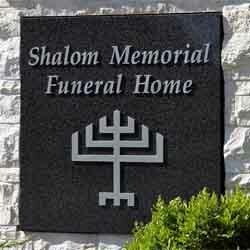 Chapel service Friday 10 AM at Shalom Memorial Funeral Home, 1700 W. Rand Road, Arlington Heights. Interment Shalom Memorial Park. In lieu of flowers, donations may be made to the Lubavitch Chabad of Northbrook. Jeff and I have been close friends for more than 40 years. During college we were room mates sharing an apartment for 2 years. Lots of fun and memories. Jeff was a loyal friend, carefully maintaining our relationship after I moved to Corinth Texas. He and Rozi made annual trips to visit me and my wife Kathleen. I will miss him greatly, but retain always strong and positive memories. May God remember the soul of Jeffrey J. Cooper who has passed to eternal rest. O God, I pray that you will keep the soul of my dear______________ united with us in the bond of life. In his/her memory, guide me so that I will live righteously, fulfilling Your will and serving our people. May his/her soul rest in peace and be remembered as a blessing. O God, as I remember, Jeffrey J. Cooper I pray that I may emulate all that was good and righteous in his/her life. May his/her soul be given eternal life and his/her memory always remain a comfort and source of inspiration. A link has been broken in the chain that has bound us together, yet strong bonds of home and love hold us each to the other and we give thanks for the blessing of life, of companionship, and of memory.